Not in my backyard. That argument has long been tacked on gargantuan wind turbines. But a new study shows that barrier doesn’t really exist. 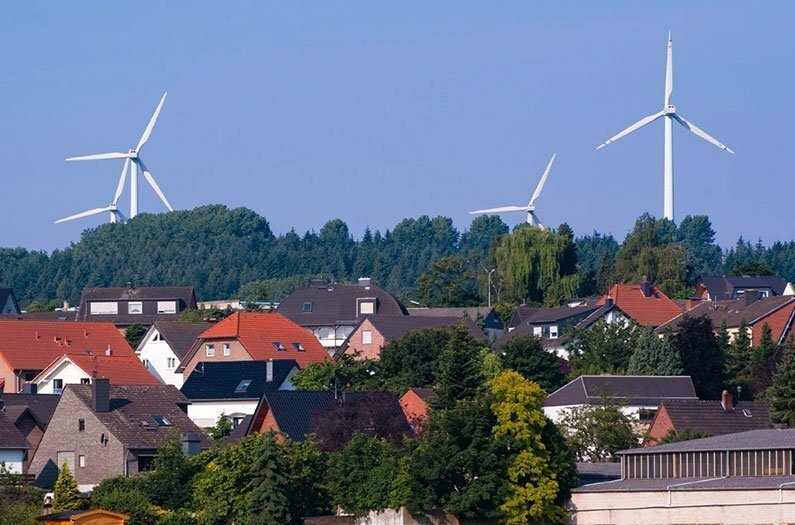 People who live near wind projects strongly prefer their spinning, clean power-producing neighbors over power plants that generate electricity from fossil fuels, nuclear and even solar, the study published in Nature Energy shows. And the results apply to people who live in urban or rural areas, red and blue states, and even in states that produce coal. Wind power is growing quickly around the world. There was 539 GW of installed wind capacity in 2017, amounting to 5.6 percent of the global electricity production and making wind power the second-most prevalent renewable electricity source after hydropower, according to the Renewable Energy Policy Network. That means more and more people can see wind farms from their windows. Wind projects can “have large effects on the landscape, and more profoundly, on sense of place and community,” write Jeremy Firestone, a professor in the College of Earth, Ocean and Environment at the University of Delaware professor and undergraduate Hannah Kirk in the new paper. Researchers have in the past tried to understand the social acceptance of wind power and other renewables. But most studies have been case studies focusing one community where wind or solar are being planned or built. And studies have usually queried people’s thoughts on the choice between wind power and no wind power. Firestone and Kirk say the real question is whether society should generate electricity by wind or from some other source. So they analyzed data from a 2016 survey conducted by the Department of Energy’s Lawrence Berkeley National Laboratory of 1,705 people who lived within eight kilometers of a wind turbine. The results show that about 90 percent of the respondents preferred the wind turbine over a coal, natural gas or nuclear plant that might be located at a similar distance. Wind also won over solar three to one, with 45 percent saying they preferred wind and 15 percent preferring solar; the other third had no preference. Source: Jeremy Firestone and Hannah Kirk. A strong relative preference for wind turbines in the United States among those who live near them. Nature Energy, 2019.